Control and manage your PlayStation Store spending with a PlayStation Network Card. This fast and easy digit card allows you to put credit onto your PlayStation Store account without linking a credit/debit card. 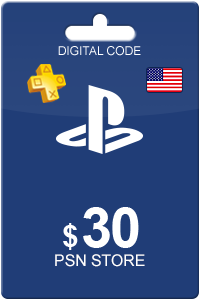 Within the PlayStation Store, you can find many different products such as full PlayStation games, full movies, music and much more. Use the PlayStation Network Card for your PSP, PS3, PS4 and PS Vita. Sådan køber du Playstation Network Card 50 USD? At købe Playstation Network Card 50 USD fra Livekort.dk er lige så let som 1 2 3! Du skal blot indtaste din emailadresse, vælge en betalingsmetode og fuldføre betalingen! 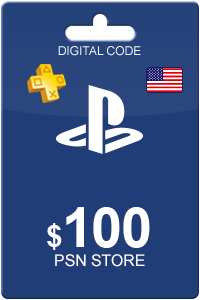 Vi har nogle af de billigste Playstation Network Card 50 USD på markedet.